The DLK Acne Peel treats skin concerns associated with acne such as active papules, blackheads and whiteheads. The treatment utilizes vitamin A and a combination of natural acids that are multi-functional and works to control acne and regulate sebaceous glands. The DLK Acne Peel addresses acne caused by many factors including hormones (pregnancy or menopause), medications, the incorrect use of skin care products, cosmetics and stress. The treatment works by using active ingredients to penetrate into the stratum corneum of the skin. Helps reduce and minimize acne while clarifying and brightening the skin. Skin-specific treatment can be customized to individual needs. The active ingredients penetrate the stratum corneum of the skin. The anti-bacterial properties exfoliate dead skin cells obstructing pores that cause acne. A high concentration of four active ingredients (azelaic, mandelic, salicylic and trichloroacetic acid) results in an effective treatment. The DLK Clear Acne Peel Treatment consists of an in-clinic procedure where a freshly-compounded peel is applied to the skin. The patient will leave the clinic with the peel still applied to the skin and after a specified amount of time, the peel is washed off. An at-home skincare maintenance kit is provided to maximize results and recovery. There is little discomfort during or after the procedure. At the time of consultation, a customized treatment plan will be created based on individual concerns, skin type and needs. If you have a history of cold sores please let us know and a prescription can be given to decrease the risk of an outbreak. The skin should not be tanned at the time of treatment. The DLK Clear Acne Peel treatment cannot be combined with other treatments unless otherwise instructed by Dr. Kellett. Your face might be flaking or peeling for 4-6 days. You do not need peeling to experience results, most patients notice a reduction in acne and an improvement in skin tone, texture and pigment. Instructions on how to use your post-procedure at-home products will be provided. 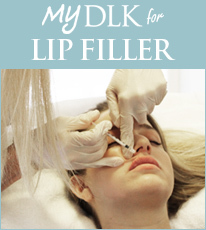 The DLK Clear Acne Peel combines in-clinic treatments and at-home products to optimize results. Results will continue to improve over time by following the prescribed treatment regimen. Results will vary but generally patients will see a significant improvement in acne. Most patients will need a series of 3-6 treatments, spaced 3-4 weeks apart. With the use of medical-grade skincare, skin texture and tone will continue to improve.